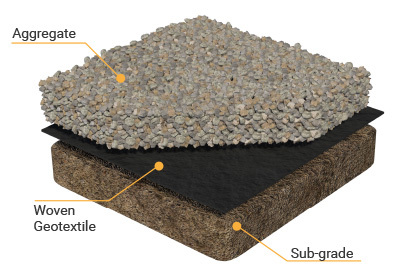 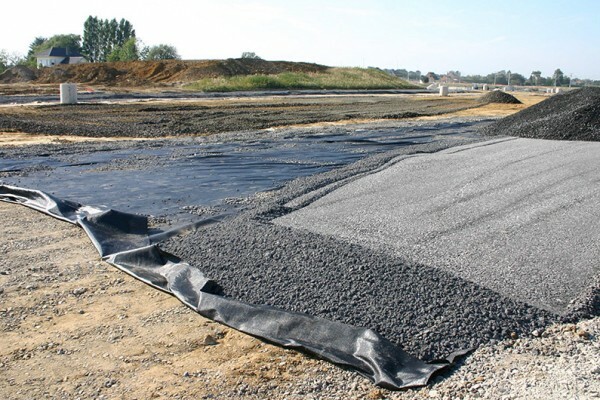 TCS offer a range of woven geotextiles from lightweight fabrics used for basic separation of incompatible soils to medium and high strength materials for ground reinforcement solutions. 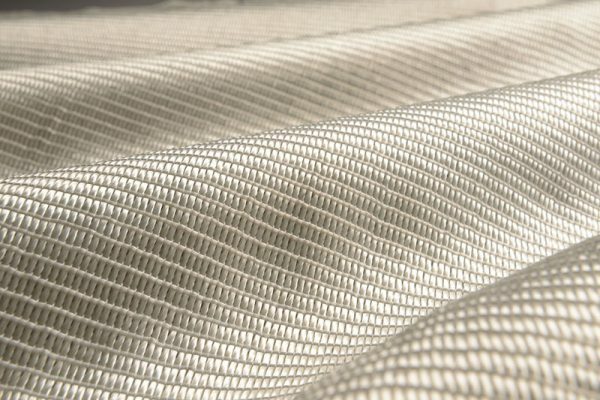 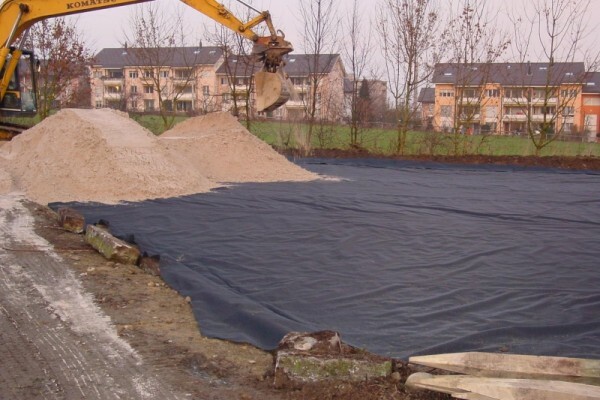 Our woven geotextiles are manufactured from inert polypropylene and polyester and therefore not only safe for use but also resistant to attack from microbial attack and most chemicals which naturally occur in soil. 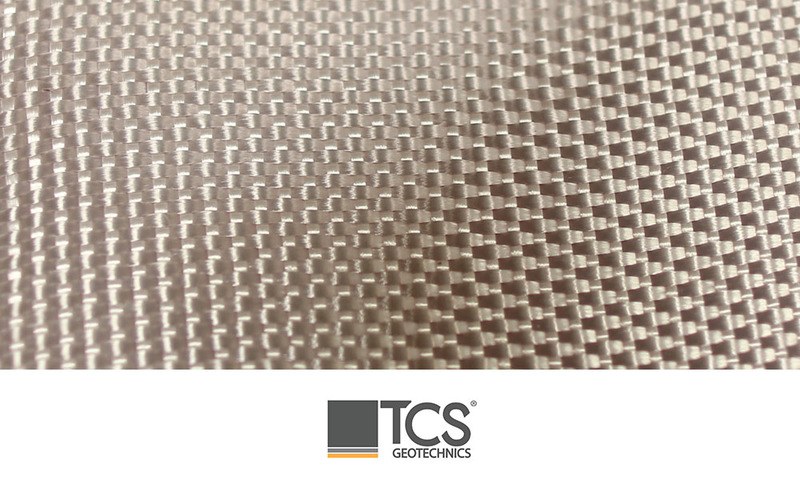 TCS offer a range of low to medium strength polypropylene (PP) woven geotextiles ranging in tensile strength from approximately 15 kN/m up to approximately 125 kN/m. 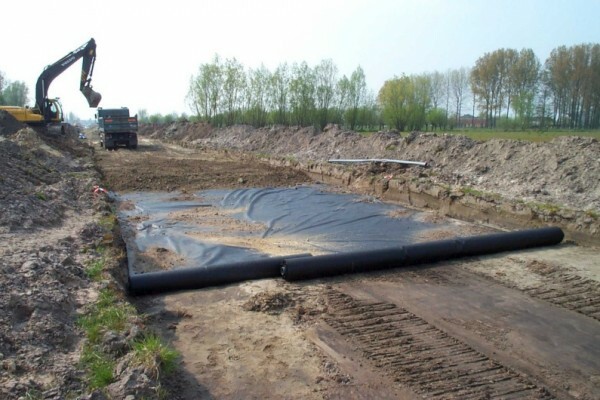 The lower strength materials are predominantly used for separation whilst the medium strength (say >40 kN/m) are generally reserved for reinforcement applications, although these geotextiles can obviously perform both functions to varying degrees as required. 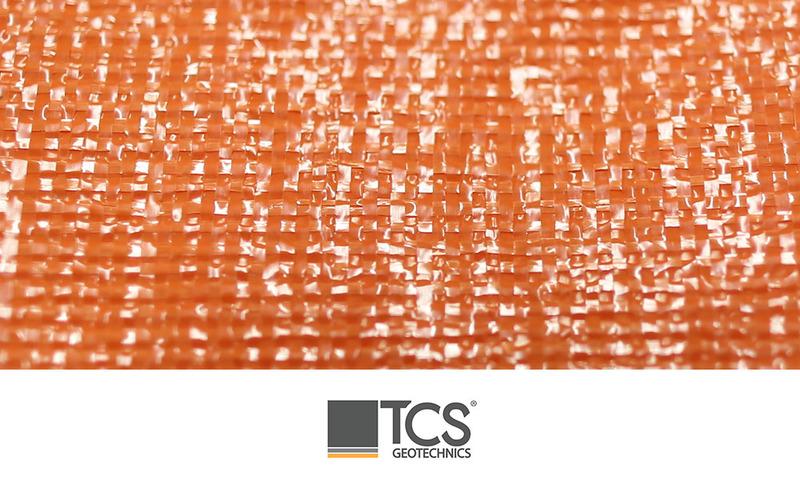 Oratex is a bright orange woven geotextile typically utilised in contaminated ground applications. 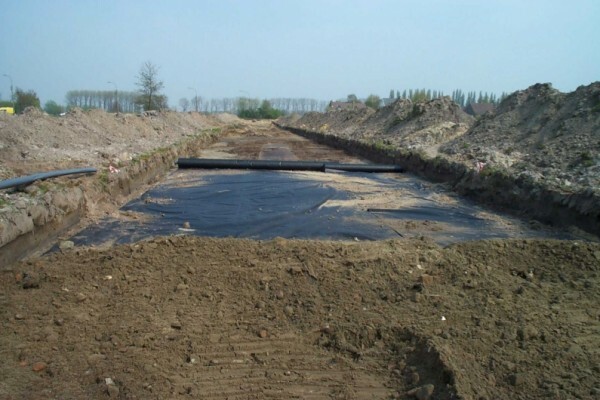 Designed to act as a separation layer and warning/marker layer in one, Oratex is commonly used on brownfield sites as a marker horizon where contaminated materials are retained on site and there is a need to provide a warning in case of future excavation. 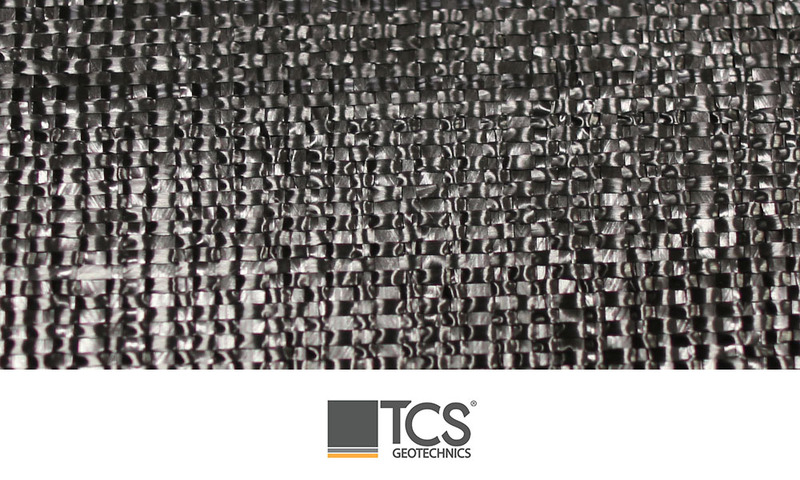 TCS offer a range of woven or knitted polyester (PET) geotextiles that offer high tensile strengths at low extension. 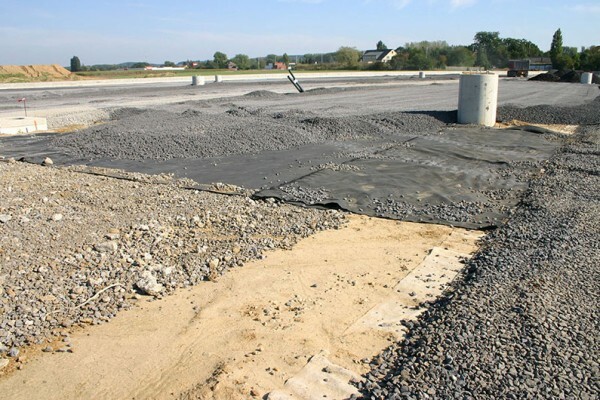 Ultimate tensile strengths offered vary from approximately 100 kN/m to 1000 kN/m and the excellent creep characteristics of these materials makes them a preferred choice for a range of reinforcement applications including void spanning, load transfer platforms over piles and basal embankment reinforcement.